Director Björn Runge finds it easy to relate to women in his filmmaking. 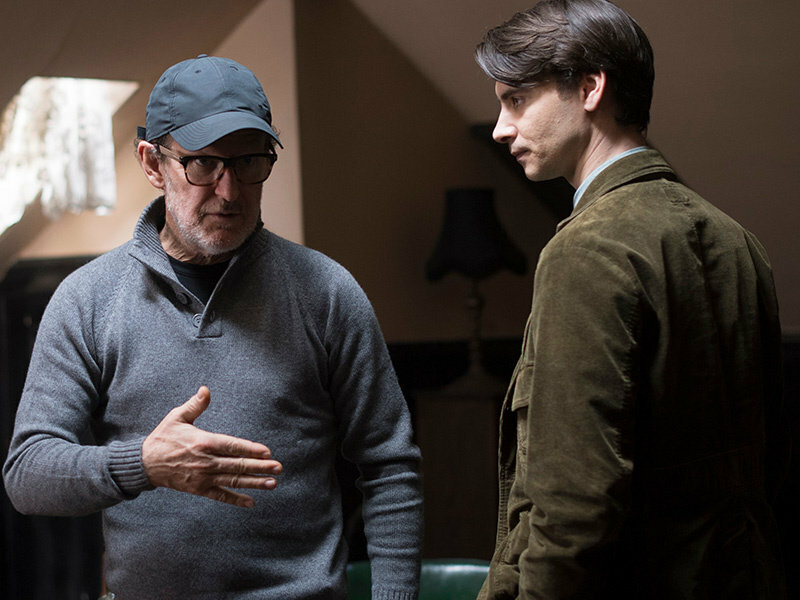 He discusses his work on the film adaptation of Meg Wolitzer's The Wife with PopMatters' Paul Risker. 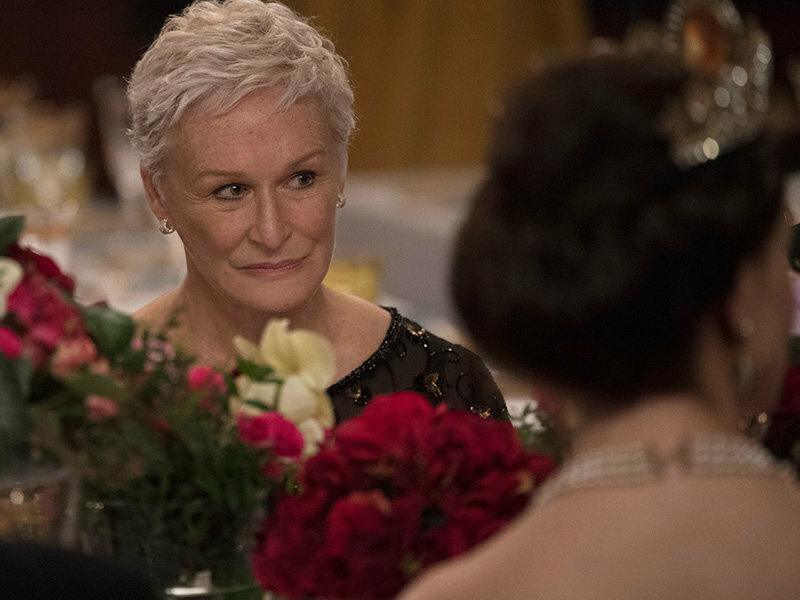 The Wife (Sony Pictures, 2018) centres around Joan Castleman (Glenn Close) and her novelist husband Joe (Jonathan Pryce), who is to receive the Nobel Prize for Literature. In the shadow of this momentous occasion, the couple's 40-year marriage finds itself on a precipice. Sacrificing her talent, dreams, and ambitions for Joe, she has even ignored his countless infidelities, until in Stockholm for the ceremony, where she finally confronts him and their long-lived secret they've kept from their children and the adoring public. Directed by Björn Runge (Daybreak, 2003), (Mouth to Mouth, 2005), (Happy End, 2011), from Meg Wolitzer's novel adapted for the screen by Jane Anderson, this is a story that can be seen to contemplate the privilege of the male creative voice. Yet in truth, it's a story of one couple's dependency on the other person. With a simplicity in the execution of style and narrative, The Wife (reviewed here on PopMatters) is a film told by the emotional connections we forge with the characters, who are all too imperfectly human. This should not necessarily be considered in a moral sense, tempting as it is to judge Joe, but rather how our aspirations and needs craft the imperfect self, and the imperfect portrait of our lives. In conversation with PopMatters, Runge reflects on uniting the experiences of the characters with those of the audience, the seclusion of sad and difficult life experiences, and a desire to move beyond gender. Why filmmaking as a means of creative expression? Was there an inspirational or defining moment for you? I think it was the first time I saw a film by the Italian filmmaker Federico Fellini, and I really thought: Could film be like this? It was a film called City of Women (1980), and it was a big experience for me to watch that in the cinema. And then I also saw Husbands (1980) on TV, a film by the American director John Cassavetes. I thought there was something that was very much about truth in that film, which I really appreciated. So those two films were very important when I was thinking I should maybe find work in the film industry. While these two filmmakers were influential, as you've gone on to build a body of work, how has your understanding of the process of filmmaking or storytelling in cinema changed? When it comes to John Cassavetes especially, he's very much into the truth. You believe in what you see and at the same time he also taught me something very important: the best films share experiences with their audiences. So when I directed The Wife, I could find some wonderful scenes, especially when Glenn Close and Jonathan Pryce were in front of the camera. Those scenes are written in a way that you want to share an experience with the audience, who share the same experience with the actors. I like that because so many films are into making an illustration of feelings, of emotions, but sometimes you can share an experience, and that's much stronger than an illustration. The appeal of stories and the cinema is that the experience puts us in someone else's shoes, and so that desire to have feelings evoked is at the heart of the experience. Yeah, I think so because what you see when you watch a good film is human beings trying to find out something in their lives in order to continue on. I think that's beautiful. You are not only a witness, but you are also a part of it with your own experiences. The performances by the two leads are vital in creating a connection between their characters and the audience, and while you could have built to a twist, instead you allow us to discern the dishonesty at the heart of their relationship. But in the edit, did their performances convey feelings or an emphasis on the ideas at play in the film that motivated changes, which you couldn't necessarily have anticipated prior to shooting? The screenplay is written by an American writer, Jane Anderson. When I got the script we re-wrote it three times and then before going into the shooting, we were forced to remove some more scenes to fit into the thirty-day shooting schedule. What you are thinking of in that moment is what the audience needs to understand about what we are talking about. So for me, it was very much planning a script that could communicate that. ... Once you're in the editing room you suddenly find that you don't need some lines or scenes, and so you change the order of scenes to invent the whole script once again. When we were shooting, my only map was the script, but at the same time I try to collect as much material as possible for editing, because I know that in the editing we will rewrite it once more. I can say that nearly all of what we shot of Glenn Close's performance is in the film. When it comes to Jonathan Pryce, we had a discussion in editing the film, and the discussion was that with the title of the film, who will see this film first? Of course it will be the female audience, who will bring their boyfriends or husbands. So we decided to give her character a little bit more space than his. I think it's around fifty-five percent to Glenn, and forty-five percent to Jonathan, but his performance was so important because he dared to work and act against Close in an unpredictable way, and that made her even better. So she never knew what he was going to do in front of the camera. The Wife presents some ideas about the experience of the writer. It's a common thought that writers write because they must, while another thought from a disillusioned female writer is that writers write to be read. The discussion of creative expression and the creative individual is filled with romantic ideas. Do you consider writing to have a dimension of emotional pain? And which idea do you prescribe to as the reason the writer writes? I think to be a really good actor, writer or director, you have to use your own experiences from the life that you have lived in a constructive way. You can have lived through many difficult experiences in your life, but the day you can turn those strange and difficult experiences into something that you can use in your art, offers a very positive feeling for the creative person. I don't think you get anything for free, and so for me I've been through difficult things in my life that have made good at reading people. I can read emotions very fast because of those experiences when I taught myself to read people, to know where they were emotionally, it was a question of surviving emotionally as a teenager. But when I didn't have that need to read people to emotionally survive, then I could use it in my work as I do now, and so for me it's a very good thing. So I don't think you get anything for free, and most people on this planet have a lot of strong experiences. Some people can transform those experiences, and I m thinking of actors and writers, which makes them very good at what they do, and so it's based on a transformation of experiences. I always feel that those films that are filled with sadness, anxiety, and tragedy are better equipped to open doors to our memories than happy stories are. In many ways, the latter feels rather sterile, lacking the capacity that the negative emotional stimulus possesses to allow us to introspectively access ourselves. It's interesting because the happiest moments of my life, I always share with other people. It can be with my wife or with my son, or with my friends, or even with my dog, but most of my, not sad -- sad is maybe not the right word -- but tragic moments in my life I experience them for myself, when I'm lonely. So I think tragic moments are something that you only share with yourself, internally and with your own imagination, but happy moments for me are often shared with other people. But at the same time I love to see films that can share happy moments with me as its audience, and it's very rare, but it's beautiful when you see a film that does that. Your observation ties in beautifully to the film because there's a certain seclusion to the anxiety of their secret. On this subject, the language of creative expression -- whether it be music, literature or film -- has always been compromised by the lack of equality between the genders. In order for this language to be as rich and authentic as it can be in capturing the human experience and human voice, equality is paramount. Sometimes it can be beautiful when you go beyond the gender, when it comes to the existence of the human beings. At the same time, in one way or another for me, I don't know why, maybe it's because I've lived so long with my wife, and before that it was my mother, but my father was a distant and unpredictable character. So it has always been easier to work with female actors and characters, and it's more interesting because from my perspective it's easier to give to it a trust, and to also arrive at that moment where you understand the human being. In this film, Jonathan Pryce plays a failure. He's someone who wants to be someone that he isn't and he does it on behalf of his wife, and in one sense he steals her creativity. But I would love to do a film where two people, or more people with different genders, can meet and can be human beings, which is when it's at its best. I'm a little familiar with this kind of male character that Pryce plays because I have him in my family in one way, and so I do understand that. But I'm also afraid for them, and so it is much easier to identify myself with the female characters. When making a film my ambition is that I want to invite the audience in with their own experiences, because in the best worlds they will have also taken a journey within themselves. In these worlds there's a meeting between the screen and the audience, where they can place their own life and experiences along with what they see on the screen, what the characters are living through. So my ambition is always that hopefully something has happened to some of the people in the audience because that then means that our work with the film, our ambitions, have not been wasted. I don't want to just steal time from the audience, I want to invite them to a meeting with the film that we have created, and hopefully there's a connection between the audience and the screen.